Kings Bell, the brand new album from Midnite debuted today on iTunes with a feature banner and is currently #3 on the reggae chart. This landmark album is a 3-way collaboration between Midnite, producer Andrew "Bassie" Campbell and Tippy of I Grade Records. Kings Bell is an album truly built on vibes. The project initially started with 1 song produced by Andrew "Bassie" Campbell. With his vast catalog of rhythms and Vaughn Benjamni's seemingly endless stream of lyrics, a full length album was only a natural development. The rhythms were recorded primarily in JA, with overdubs done in St Croix with Tippy and VI musicians like Batch. Some of the Jamaican musicians included on this release are Earl "Chinna" Smith, Leroy "Horsemouth" Wallace, Lloyd "Obeah" Denton and many more. Musically, the album is an uptempo continuation of Midnite's tradition of deep quality roots reggae music. According to Tippy, "It is a concept album, royal & regal sonically and lyrically". Blending the vibes of the Midnite, I Grade and Andrew Basie has created a classic reggae album with a universal sound that crosses all borders and boundaries. "Vaughn Benjamin is truly one in a billion" stated producer Andrew "Bassie" Campbell. "Midnite is my favorite Virgin Islands group since the first time I saw them in 2002 while doing a show in St Croix. They were also on Gather The Remnant which we put out with Conscious Riddims from Hawaii, which is how they were familiar with my work." Bassie explains, "the album started with one song, I ran the idea by Tippy and we recorded it at Vaughn's house." Bassie further claimed to have laid 2 tracks in St. Croix and the rest in Jamaica. Tippy characterises the album stating, "it has a classic orthodox sound." Sealing the vibe is the release date of 1/1/11, which both Tippy and Bassie agreed was a mystical part of the album's process, as the message of the music is oneness – One God, One life. 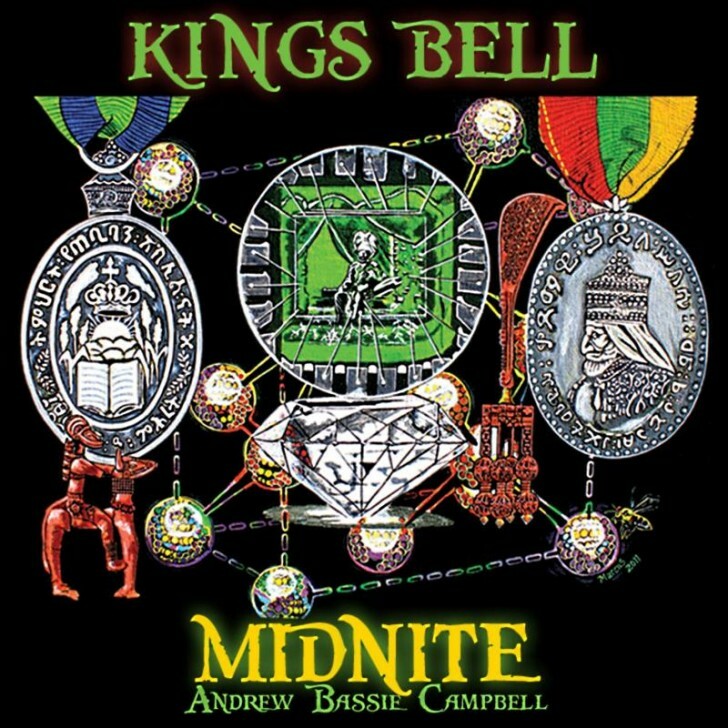 To fans of quality music regardless of the era or genre, Kings Bell is indeed destined to be among the classics in the Midnite Catalog.